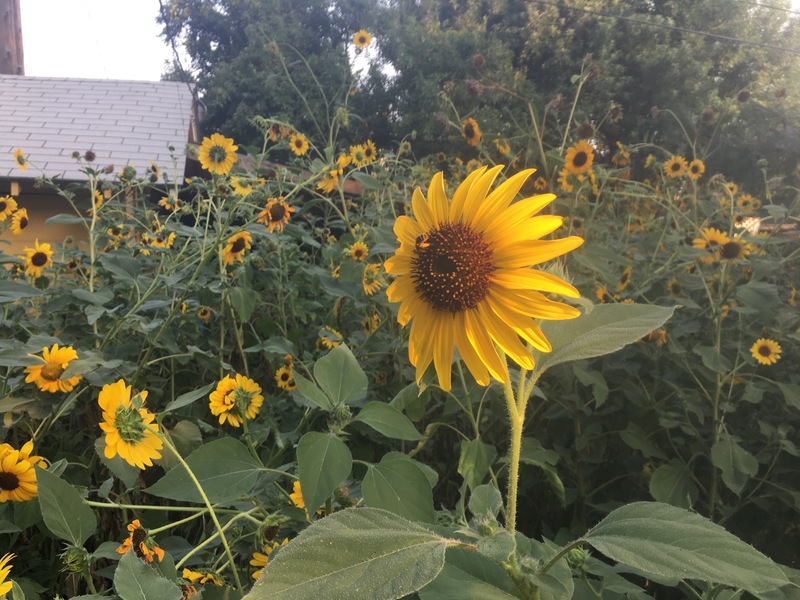 We have somehow let the rogue sunflowers take over the back garden space. The flowers are beautiful, peaceful, and support the local ecology. 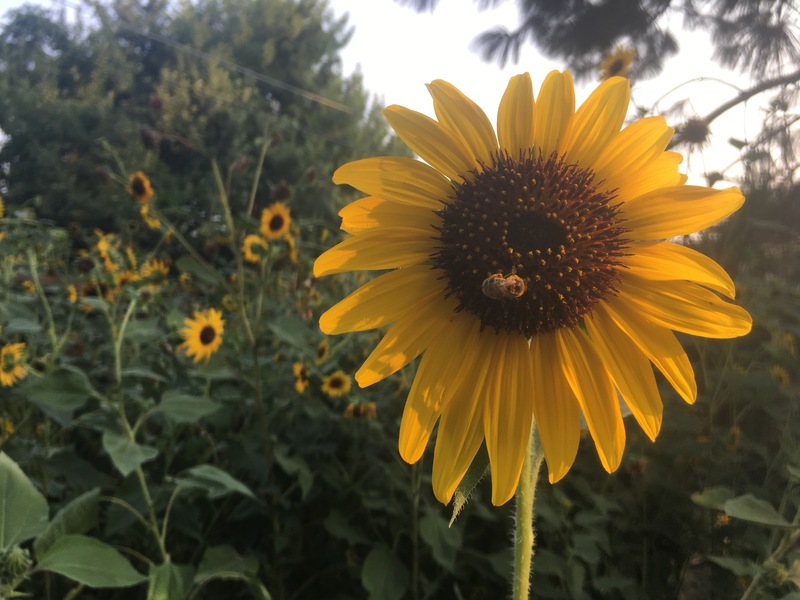 All sorts of bees are constant visitors during the sunflower bloom time, and when seeds start to become ripe, finches are ever present and full of song. However, the intentionally planted crops didn’t fare so well due to the lack of sunshine and water. 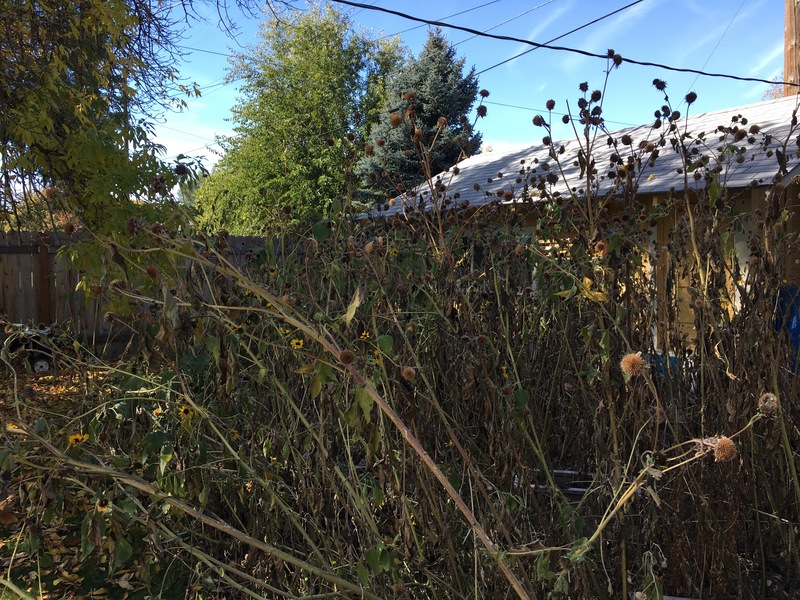 Next year I’ll be pulling any sunflowers in this area, but they have had a good run. I’ll let them go wild in another place. The great reveal! There’s a building back here! 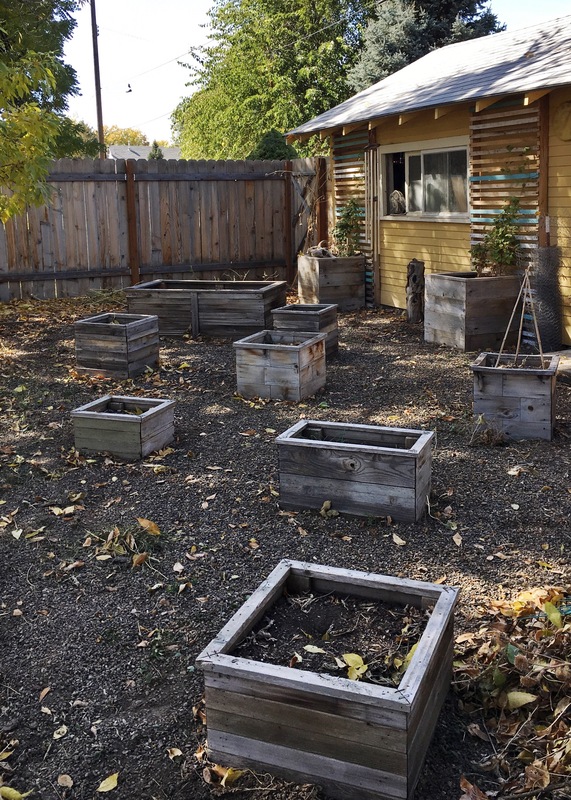 Now I can see the beautiful boxes and garden bed my husband built! I generally plant early spring crops in these boxes: peas, potatoes, kale, radishes, and green onions have all lived here. The climbing plants in the back are clematis ❤️. Happy fall gardening / culling.